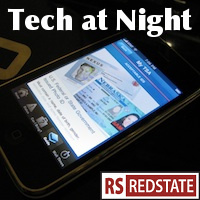 Tech at Night: Fact versus fiction on broadband in America. Kim Dotcom weighs in with a new site. Tech at Night: Netflix proves me right on Net Neutrality. DoJ on Swartz. Tech at Night: Net Neutrality: The Return of the Revenge. New Zealand continues to let fugitive Kim Dotcom waddle free as his successor to Megaupload has launched. The US shut down his previous service, hosting files for law breakers, and now New Zealand is letting him start over with a new service. I look forward to people using it to infringe on New Zealand copyrights, and to distribute tools for stealing from New Zealanders. It’s amazing how detached from reality left-wing tech policy gets. Connectivity is better and faster than ever thanks to the 4G wireless revolution, as Media Freedom points out. I guess that’s why when firms like Comcast try to expand access even further, they have to try to talk it down. Deep down I think they know this, which is why the Obama FCC moves forward with incentive auctions, allowing for the transfer of critical spectrum from backward-looking legacy uses, to pressing future needs. But they’re still being stupid about this stuff overall. this gigabit challenge is ridiculous, and misses the key about connectivity in America: we’re a spread out country, a lot less urbanized than our competitors. So getting gigabit connections in a few urban areas misses the point entirely, especially if elsewhere policies like the spectrum screen and overzealous antitrust hinder competition and innovation, holding back download speeds.